Both physically and mentally demanding, rock climbing in the great outdoors is something that every adrenaline junkie should try. Feeling on top of the world is a cliché that many use, but if you take a look at the mountain ranges and rock faces across Europe then you’ll see it’s easy to reach the dizzy heights without trekking off to the Himalayas. There are many people who look for a rock climbing trip each and every year, and here are some of the best spots. Situated in Belgium, this natural rock face that dominates the river Meuse. 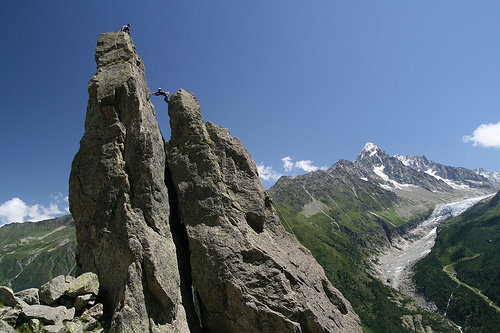 Found in Hastiere, this is the most popular – and important – climbing spot across the country and includes more than 600 routes across all difficulties. Whether your ability is a grade 3 or even an 8c, there is a climb you will be able to tackle whilst enjoying the stunning landscapes. Known to many as the Southern Alps, this spot overlaps both France and Italy and is home to some wondrous climbing landscapes. With many of the peaks more than 3,000 metres high, the Massif Des Ecrins at higher than 4,000 metres is the one that dominates this region. The towns of Guillestre, Ailefroide, Briancon and L’Argentiere-la-Bessee are the most popular and home to more than 75 crags for all grade groups. 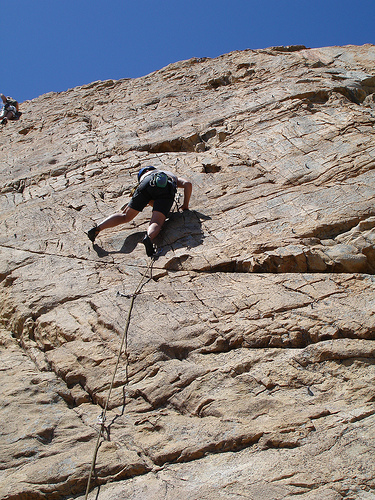 Whatever you want from your rock climbing holiday, you are sure to get it here. With Ailefroide known for excellent bouldering, and the rock types stretching from limestone and quartz to gneiss and granite there is something for everybody. 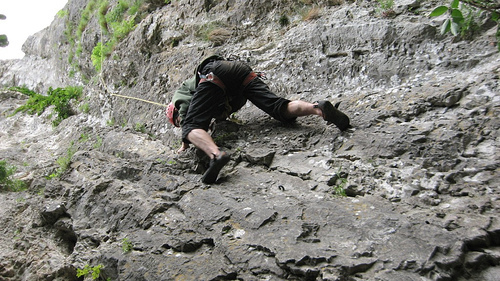 The area around Malham in Yorkshire, England, has a huge range of rock climbing spots for people to enjoy. 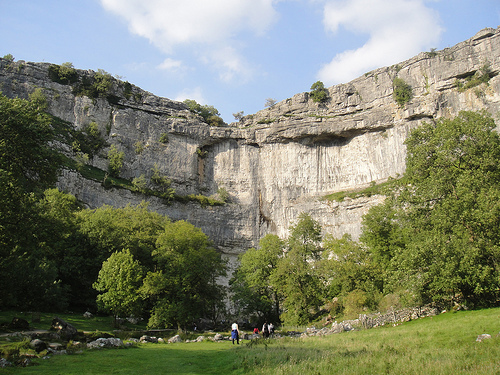 From the Fluted Columns and Great Western in Almscliff to the Raindogs and Zoolook in Malham, heading here and getting a country cottage to rent means that you can enjoy a fun-filled rock climbing adventure break. This spot in question was first climbed in 1985 by Ron Fawcett and is still attempted by hardened climbers every year. Graded as an 8a, you’ll need to ensure that you keep a cool head and move with precision throughout the climb. With the United Kingdom full of wonderful natural beauty, it is worth doing your research around these climbs and the region so that you know where best to base yourself when renting one of the Yorkshire cottages in the area. Lastly, and another great place for European rock climbing is the relaxing and picturesque island of Corsica. Known best for quiet holidays, you can find some great places to get a little more active. With Cala gonone and Domusnovas on offer, the most popular routes to climb are in the Isili and Oristano area which offer super-steep roof climbing. 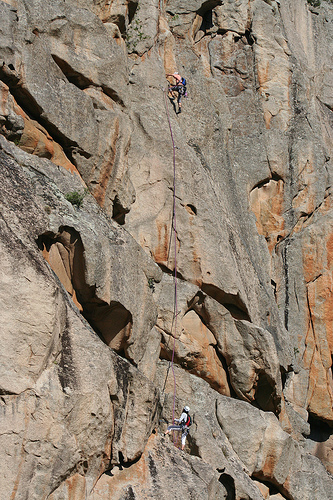 With mix of easy and difficult crags, there are plenty of options to enjoy from granite bouldering to dark basalt rock. 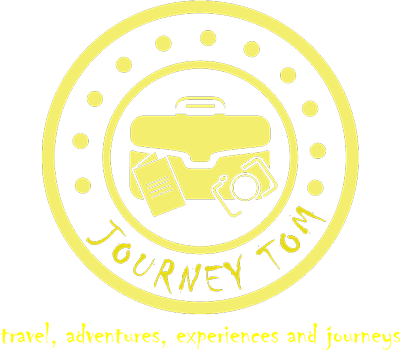 As climbing is one of my many past times (although I only do it in the summer) you can expect some more climbing related posts later in the year when the sun is shining and its nice and warm!